It is with great sadness that I write this post. 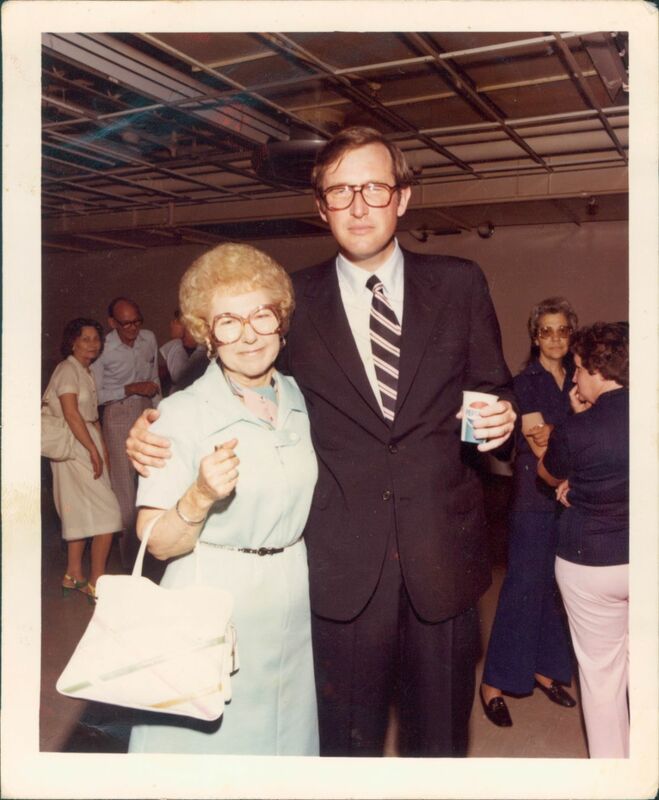 Yesterday, I lost one of the most important and influential women in my life, my grandmother, Beulah Ann Bailey, who passed away a single day shy of her 100th birthday. 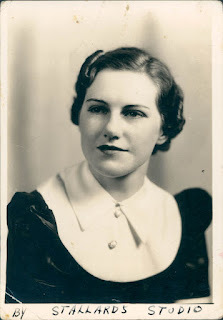 While many people in her home state of West Virginia knew my grandmother for her tireless work within the medical field as both a public health nurse and advocate for better healthcare (specifically women and children's healthcare for the farthest reaches of Appalachia), to me she was just "Granny Boohler", a witty, often hilarious (prankster), loving, God-fearing Southern lady who always had an extra place setting at her dinner table for anyone looking for a slice of applesauce cake and some casual conversation. And, she could cook. I've written about Granny's culinary prowess in the kitchen before (actually, both of my granny's are gifted cooks), and I count my blessings often that I was allowed to watch over her shoulder as she stirred, sliced and added a pinch of this or that. 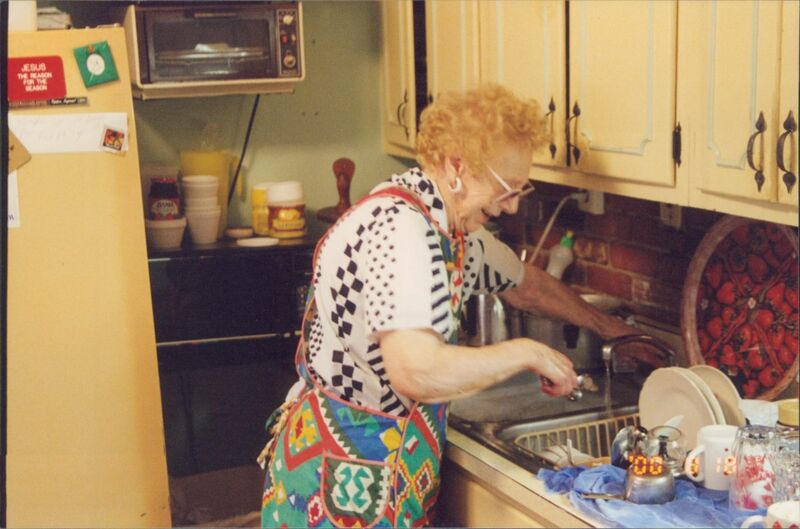 Granny whipped up multi-course meals featuring real-deal Appalachian-style Southern cooking well into her 90's, with many of her recipes being passed on to us kids as oral renditions that often contained the phrase, "just eyeball it". 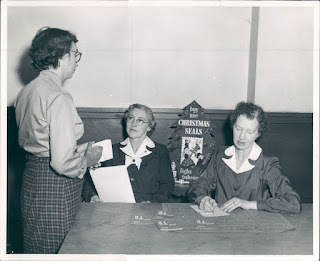 Granny wasn't big on measuring, and only on rare occasion did I ever see her crack open a cookbook, but several years ago she did pass on to me a big box of scribbled recipe postcards and torn pages from her personal collection. I've been slowly working through transcribing each one (some are in my first cookbook) in an effort to preserve them in their original form as true family heirloom recipes dating back hundreds of years. Angel biscuits, white gravy, fried apple pies, cider slaw, chow chow, peach ice cream, even my grandfather's canned sausage recipe is in that box, and their words and phrases still speak to me. In jotted notes and asides, I can hear echoes of my grandmother's voice, "one more tablespoon of sugar here" with an arrow pointed to a baked apple recipe, and next to her recipe for lime congealed salad, "Brought this to Mercer County ladies luncheon. Big hit. Serve with crackers." 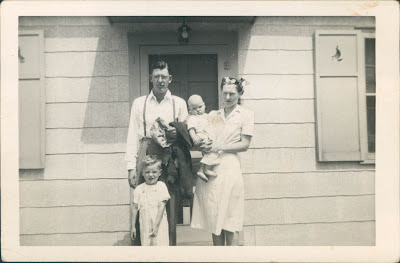 In true grandmotherly form, Granny loved the act of feeding people, so much in fact that she rarely ate anything herself. In the above photo, you are witnessing one of the rare occasions where she is actually sitting down at the table. We used to have to coerce her into taking an open seat with a declaration of, "no getting up until you've eaten at least half of this". 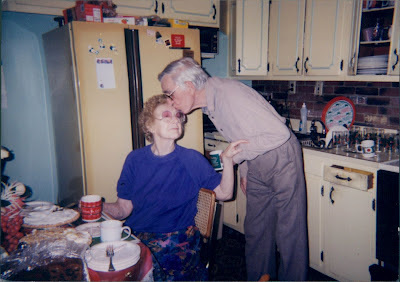 She'd finally agree, sit down, take a single bite, and before you knew it (just when your back was turned), she'd be back in front of the oven stirring a big pot of pole beans or opening the oven to check on the potato rolls. Nothing brought her more joy than giving to others. It was something she felt compelled to do in all areas of her life. When it came to work, in addition to her endless commitment to providing affordable healthcare (i.e. oftentimes free) to the many low income families throughout Appalachia (she immunized over 10,000 local children, helped found the Mercer County Health Department, and worked as a nurse for over 50 years helping to eradicate diseases such as diphtheria, polio, and small pox), she also spent many years counseling people suffering from substance abuse and mental illness, which is sadly still a very real problem in the Appalachian mountains. Granny grew up right along the western North Carolina/Virginia border in Elk Creek (she is on the far right in the above photo). After graduating high school, she went to nursing school and eventually graduated from Vanderbilt's Peabody College of Medicine. It wasn't long before she married my grandfather and eventually had two sons: my father, Kent Bailey, and my uncle, Roger Bailey (the youngest of the two in the below photo). 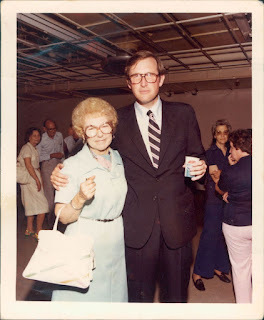 ...until my mom informed me that this young gentleman is Senator Jay Rockefeller, who like Granny, has also worked tirelessly for healthcare reform throughout West Virginia. 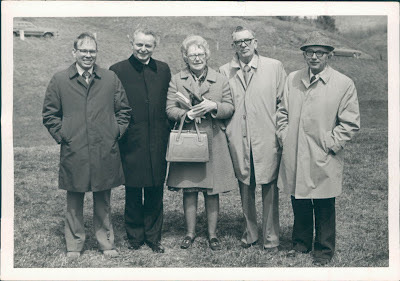 Another photo, shows her and my grandfather standing next to Senator Robert Byrd, (pictured below) who was not only her personal friend (he used to come over to her tiny rancher just to get a bowl of her famous pinto beans and cornbread), but also a staunch advocate for equal healthcare for all West Virginians. As young people, we tend to see our grandparents simply, as those sweet, doting elderly folk who send you birthday cards with five dollar bills inside and who are quick to offer you a big bear hug. 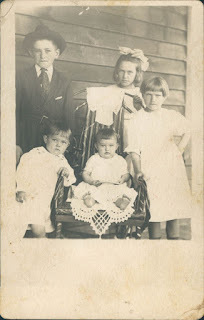 It's often later in life that we are given the gift of insight, the ability to see our family members in a totally different way-- as children who once played by a fast running mountain creek in N.C., as wives who met, fell in love, suffered the pain of childbirth and raised two boys who, like their mother, also went on to change lives by devoting themselves to the mental healthcare field. 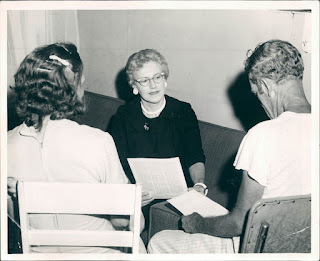 There's a keen sense of enlightenment that comes from realizing your Granny, the same one who could cook a ten course meal in a 60 square foot kitchen, not only served her family, her church, and her community, but perhaps helped to change the course of existence for so many needy families. Wife. Mother. Nurse. Advocate. Life Changer. 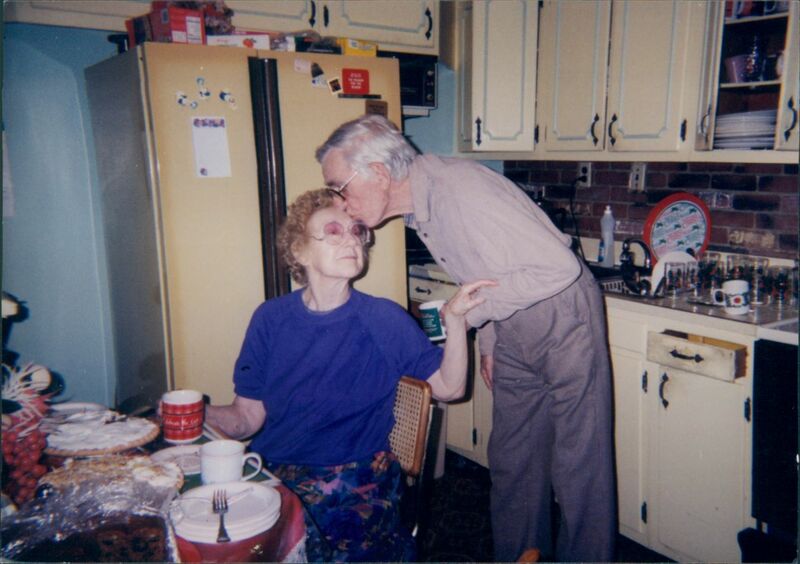 This is what Beulah Ann Bailey was to many, but to me, she will always simply be my Granny Boohler. What a special woman! And how lucky for you to realize what a treasure she was while she was still here. Deepest sympathy to you and your family for your loss. Thank you so much for sharing your story, Karen, and I KNOW she prayed for you and your family daily. Granny's word was a good as gold. I'm so happy you had the chance to spend some lovely moments with her during the last weeks. I am certain she appreciated singing with you and your company in general. She will be missed so much! The Southern Slow Cooker: On Sale Now! 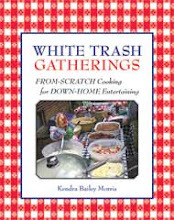 Order Your Copy of The Southern Slow Cooker! 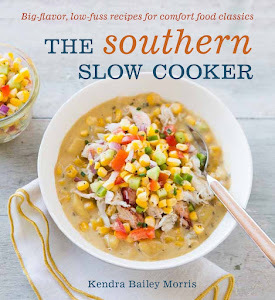 Check Out the Latest Press for The Southern Slow Cooker cookbook! ©2010 Fatback and Foie Gras. All rights reserved. Picture Window theme. Powered by Blogger.